We LOVE shooting our Military Wives, and this client was no exception. From the time she walked in the door, I knew we were going to have a great shoot. Clients with a great sense of humor fit right in at Boudoir Louisville. 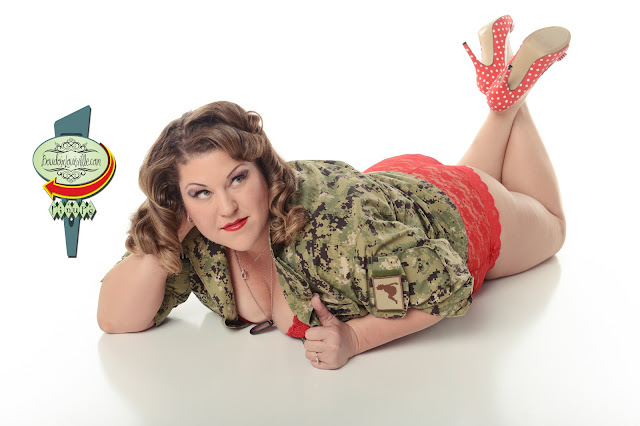 Check out the curvy girl patch on her fellas Military jacket! TOO FUNNY! Having curves is WAY better than not having curves for this type of photography. Give us a curvy gal anytime!